Social Media and Non Profits – Page 2 – the ajayi effect. Despite what people think, slacktivism, a feel-good measure that requires little personal effort or sacrifice on the part of an individual that has little practical impact in actually helping the involved cause, is still alive and well. 1. Gather advocates – How does one find and activate online advocates? 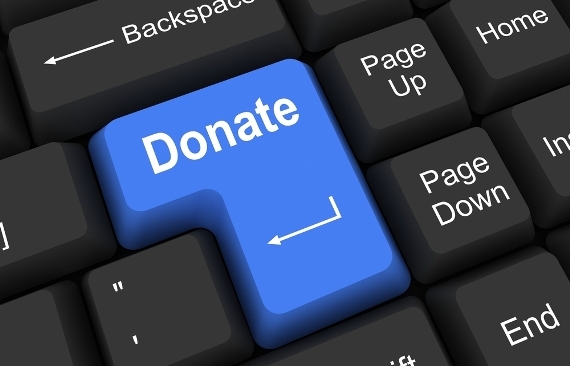 Start with where your donors are. This means you find out where your community and followers are, whether on Facebook or on Twitter or on Pinterest, and start with them. 2. Allow ideas to develop – Experiment to find out which content or what ideas work for your mission and your people. 3. Forge an authentic voice – What is the social media voice of your organization? For example, is your organization voice more academic or advocacy, more local or more global? 4. Create sustained conversations – Many nonprofits find success in hosting Twitter chats—scheduled Twitter conversations held on a regular basis with a hashtag unique to your organization or issue to talk about key issues. 5. Be approachable – Social media is best used for two-way conversations, not simply to push content to followers. Retweet others’ tweets, share links to other nonprofits’ or organizations’ announcements, and highlight your volunteers and donors. 6. Identify your core demographic – Go where your donors and advocates are. 7. Don’t equate social media with dumbed-down conversation. – Many advocacy-based nonprofits find Twitter brings in new followers and builds offline conversations. Just before Intagram rained on Vine’s parade last month, (RED) partnered with Mashable to create a new RecordSetter world record using the video app. Posting ‘the most Vine videos ever recorded in 1 day for a cause’, the 24 hour initiative highlighted the power of social media, generating heat and awareness around the fight for an AIDS Free Generation. Vine and (RED) Floss on the Nasdaq Screen. Vine users were asked to post a 6 second video with the #REDworldrecord hashtag, and the record saw people across the globe – from Kenya to Thailand, and the UK to the USA – rally around the AIDS fight and post videos of support. Vine users including David Guetta, Paris Hilton, Dita Von Teese, Twitter co-founder Biz Stone, Olympic athlete Chellsie Memmel and top chef Mario Batali posted videos in support. Following the success of the (RED) world record, a new partnership between (RED) and Johnson & Johnson will further highlight the power of social media to raise awareness and funds to help end mother-to-child transmission of HIV. From June 10th 2013, every time someone ‘tweets’, ‘likes’ or ‘pins’ an infographic depicting the progress made in the fight to protect the lives of mothers and babies, Johnson & Johnson will donate $1 to the Global Fund to fight AIDS, up to $100,000. 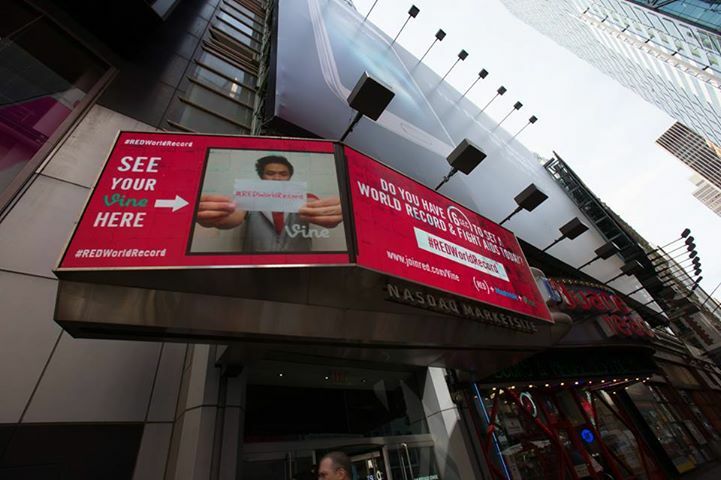 A selection of the Vine posts were shown on the NASDAQ Tower and Marquee Screen in New York’s Times Square, and can be viewed atwww.joinred.com/choosered/vine. Years ago, I had the pleasure of working alongside of MTV’s very talented Public Affairs team as part of a strategic partnership I created between the infamous channel and the national, Americorps program, City Year. When I tell you, it was some of the most fun that I had in my career – I am being modest. At the time, MTV was launching a new Facebook-like site in BETA called, “Think” and needed to test it out. City Year NY was having a huge brand awareness issue. It was a match made in heaven. The CYNY corps members ran the site through its paces and Think emerged bigger and better than ever. In turn, MTV allowed us to run our PSA on their jumbotron in Times Square for two consecutive days. The activation increased brand awareness and return on recruitment. Further, it allowed for MTV to collaborate with the organization for future projects. CYNY Corps Members Take In The MTV Goodness. MTV and skilled volunteerism-match platform Catchafire partnered to find a nonprofit in need of a “makeover,” for which MTV would lend its expertise in marketing, branding and social media. The idea originated with MTV President Stephen Friedman, who wanted to fully leverage MTV’s creative talent and storytelling capabilities to benefit an especially worthy nonprofit in a meaningful way. Catchafire issued a call for submissions and MTV chose to work with The Center for Employment Opportunities (CEO), a nonprofit that offers comprehensive job services to the previously incarcerated. Nonprofits of varying missions and sizes applied for the opportunity to have MTV in house to revamp their marketing, communications and creative assets like videos and brochures. Catchafire helped identify and streamline interested nonprofits, and MTV ultimately had to choose one organization from the extensive candidate pool to work with. Founded in 1996, CEO specializes in employment services for those released primarily from NY prisons / detention facilities – in the last decade CEO made more than 10,000 job placements. CEO’s mission and work really struck a cord with the MTV staff, as the brand’s pro-social strategy seeks to engage audiences and create conversations about critical issues like recidivism. Inspired by the organizational vision and the staff’s commitment to create opportunities, MTV’s makeover team gained a lot from meetings, onsite visits, sitting in on job training classes and connecting with program participants. This collaboration really inspired MTV and there is an appetite for more projects like this in the future. With skill matched volunteerism trending, employees at companies around the globe are looking for ways to give back and plug into organizations to make an impact. Boston-based public relations and marketing agency, Cone Communications, is launching a social media and Corporate Social Responsibility product, CSR SocialScore, which serves as a real time snapshot of how a brand uses social media to inform and engage stakeholders. Today, nearly two-thirds (62%) of global consumers use social media to engage with companies around social and environmental issues, according to the 2013 Cone Communications/Echo Global CSR Study. Inform: This portion of the score looks at a company’s online CSR reporting and baseline CSR social media presence. Quantitative data is garnered through a variety of social media monitoring, research and analytics tools. Engage: This portion of the score surveys how a company is positioning its brand as a CSR thought leader, how it is engaging with top influencers and providing open opportunities for feedback or co-creation. 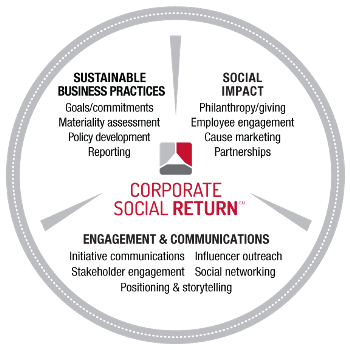 The score is designed to be used as an ongoing barometer of effective CSR communication or at the beginning and end of a campaign in order to measure success and drive return. Have You Heard of Beremedy? Beremedy is attempting to revolutionize the way you give. Have you heard about it? It’s an online charity that takes advantage the likes of Facebook and Twitter to spread people`s needs in their community. When you sign, up you will get an email alert or social media post telling you which neighborhood needs your help. At present, Beremedy is testing the platform in Atlanta and Oregon. “It`s a really simple concept. I believe that you would help your neighbor if you knew they needed something. 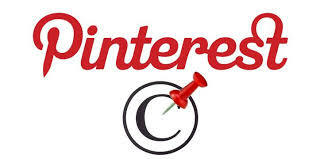 You just don`t know they need it,” said founder Blake Canterbury. As I said a while ago, email is queen AND key to your marketing strategy. Here’s the thing: creating an email list is vital to driving sales, generating loyalty, and inspiring repeat sales opportunities. But keeping a list of happy subscribers is a perpetual challenge.